Rare opportunity to own COMPLETELY UPDATED Countryside Home boasting 4 bedrooms, 3 baths, 3-car garage & pool with fenced backyard. 2018- New roof with TW, interior paint & 2016 Daikin 4 ton A/C. Brick pavered driveway & walk way, double entry doors with hammered glass & wrought iron, triple split floorplan with hardwood oak flooring & hand-scraped faux wood ceramic tile thru out. Chef’s kitchen offers custom Kraftmaid wood shaker style cabinets, granite counters, SS appliances, & Delta Sensor touch faucets. Coffee bar with matching cabinets off the flex/extended family area. Separate entertainment area off kitchen & FR offers granite counters, custom wet bar with beverage center, stained glass cabinets, stone backsplash, sink & wine refrigerator. Family room has wood-burning fireplace with marble hearth, mantle & book shelves. Spacious master suite boasts: indoor private room with full size Jacuzzi, copper sink & skylights, two walk-in closets, large shower, tub & double vanity. ALL bathrooms updated with Moen 8 “ wide-set faucets, comfort height toilets, granite counters. Tons of closet space with custom systems. Screened brick lanai with pool & spill over rock fall, outdoor brick pavered wood-burning fireplace area & screened covered lanai. Newer ceilings fans, plantation shutters, interior doors & WINDOWS. Professionally landscaped yard with outdoor lighting, security system with cameras & ring video door bell. 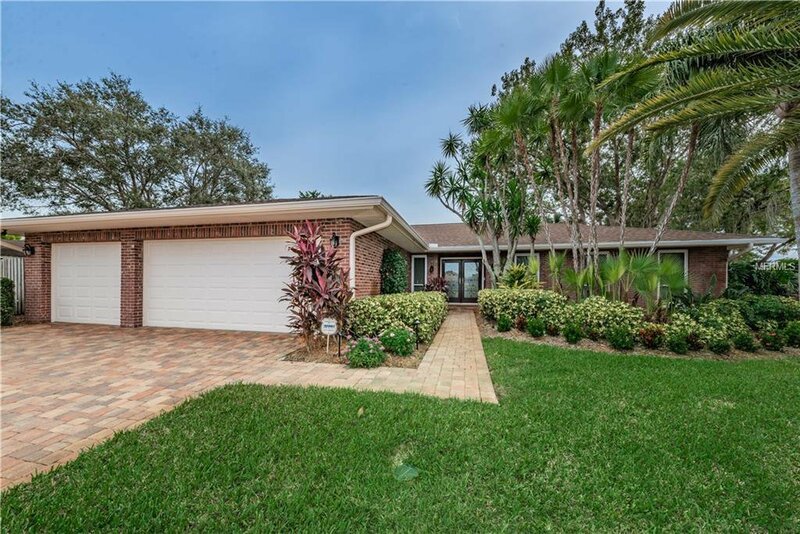 Close to Countryside Golf & Tennis, Mall, beaches & Safety Harbor & Dunedin. Listing courtesy of COLDWELL BANKER RESIDENTIAL. Selling Office: JAY ALAN REAL ESTATE.